In this tutorial I will show you how to create, edit and publish a WebApp (Mobile Website). Create an App using any of our tutorials and choose the target - "WebApp"
There is one important thing that needs to be noted when you are changing the target to an existing App or you are duplicating an existing App ( duplicate an App ). A WebApp cannot have native tabs. So if your existing App has tabs, after changing the target or duplicating, it will not have tabs. The tab pages will be in the App (tab1.html, tab2.html. 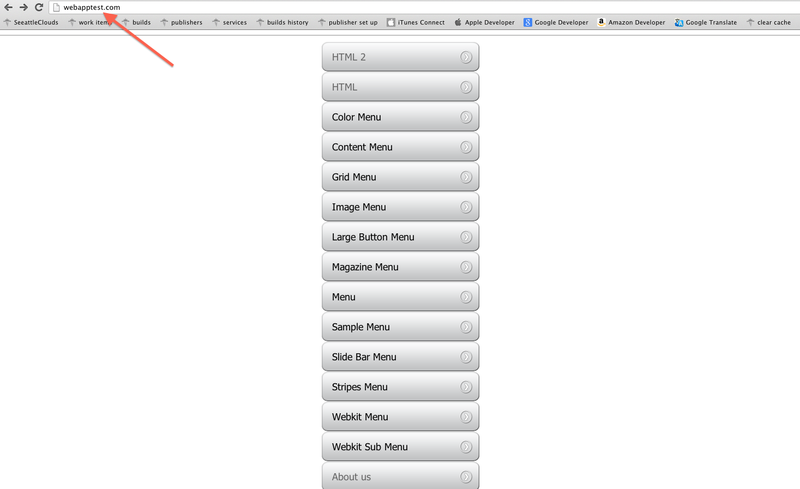 tab3.html, etc) but the default start-up page will be now index.html. The start-up page will be blank. But do not worry. When changing the target, a blank index.html file was created. You may rename any page from your App to index.html and that page will show up on start-up (first rename the default index.html to any other name). Once you created a WebApp, you will notice in its Dashboard that there are fewer options than a native App has. We have removed all the unnecessary settings like: Navigation Settings, App Store Proprieties, Statistics, Push Notifications, Page Settings, Newsstand. Also some options from App Settings we removed. All of these settings were removed because a WebApp uses only HTML based pages and obviously there is no need for Navigation Settings, Push Notifications, etc. HTML, Button Menu, Color Menu, Content Menu, Grid Menu, Image Menu, Large Button Menu, Magazine Menu, Menu, Sample Menu, Side Bar Menu, Stripes Menu, WebKit Menu, WebKit Submenu, About Us, Audio Stream, Calculator, Form, Drag & Drop, jQueryMobile, Radio Stream, WebKit details, Image Area, RSS. 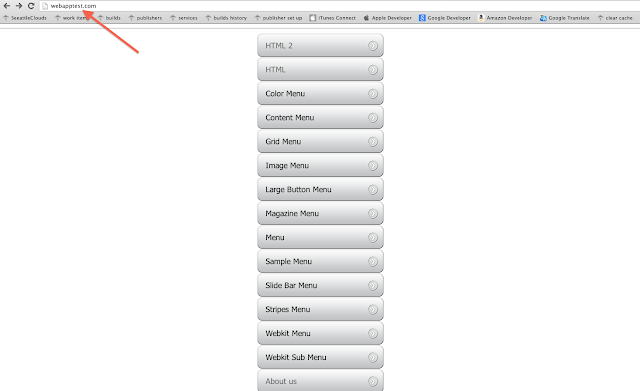 As I already mentioned a WebApp cannot have native tabs or a Top Navigation Bar but you may create them in a HTML page. You may also create a back button and many other things. Once your WebApp is ready, you may publish it. You can publish a WebApp on a domain or a subdomain. After you click "Ready to Publish", there will be a field where you will have to insert your domain or subdomain. The URL link you set will be the direct link for your Web App. Note that you do not need a server. Your App will be hosted on our server. a) In your DNS management console create a CNAME record and point it to webapps.seattleclouds.com. In App Dashboard, you will find the direct link to your App. In case you want to unpublish the App from your domain, click the "UnPublish button"
b) Publish the WebApp on a subdomain. Set your subdomain and click "Publish"
Note that if you are using a subdomain, you do not need to point the domain to our nameserver. After processing is finished click "Done". The subdomain link will be active from a few minutes up to a few hours. 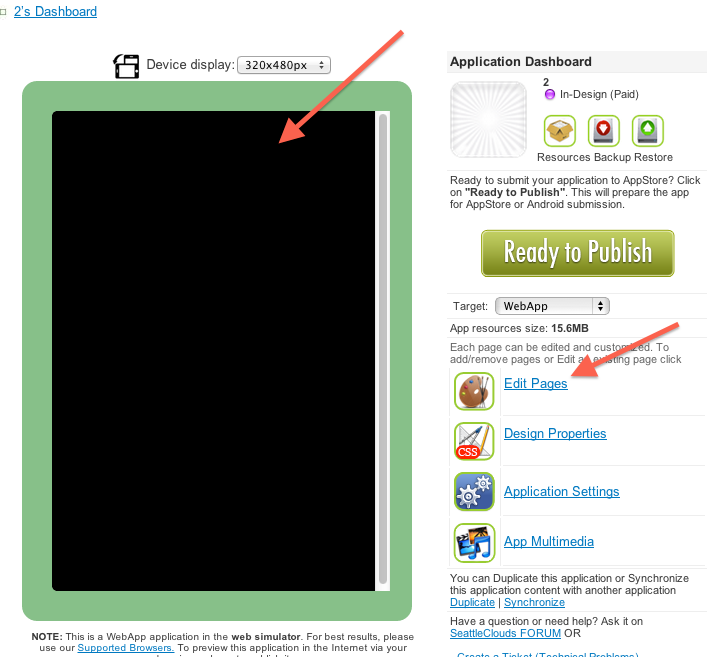 Once your App is published, you can make changes to it in App Dashboard > Edit Pages. You may add or remove pages. 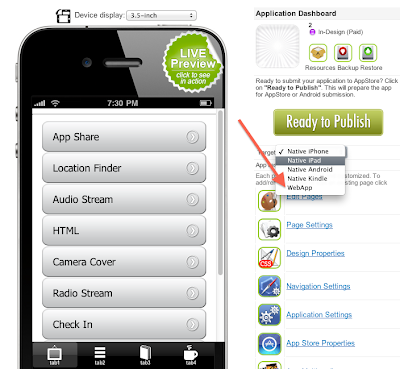 After you make any changes to the App you will have to republish it. Updates were made to the WebApps functionalities. 1) Offline Mode .This will allow the WebApp to be cached on the device so it will fully work in offline mode. Once the app is installed on the device it will work similar as a native app. 2) Open links in the same window. This is an important option that will make all the URL's and pages from the app to be opened in the same window. A new tab will not be opened in the browser anymore. 3) App Multimedia .You can now upload icons (for all devices) and even splash screens. 4) QR Code will appear after the app is published . 5) Updates. Once you would like to update an installed WebApp on a device, you will have just to republish it on the website. In a few minutes then a pop-up message will appear on the device informing about the updates received. Note that in order for the WebApp to be updated, it needs to be opened on the device. How to publish a Progressive Web Application? A Progressive Web App (PWA) is the web application which can be installed and used as a simple native mobile application, with the possibility to be accessed offline, to be published without any store review, installed to Home Screen and with active PWA Push Notifications. Currently we would like to announce that the WebApp platform is updated and now each of the users can try to create a Progressive Web Application with many interactive features. For more details on this update consider to follow the PWA Tutorial. i know there are other html5 / webapp software services that include the ability to use tab bar menu's in their services...it would be most beneficial if you guys could make it super simple for us SC users as well. Thanks for the idea. We will check if this could be added in the nearest future. 1) do we have the "webapptest.com" that is shown in above example setup? I would like to preview. 2) Will location finder page work on web app? Any update on the ability to add a tab bar menu in order to make this webapp competitive with other service provider offerings? I really like your interface and support, etc but the webapp is a vital piece of the puzzle. It really needs to be a fully functional option. 1) That example is not active anymore. 2) Unfortunately Location Finder will not work for WebApps as it as a native page. At the moment tabs are not added by default for WebApps. We will work on this matter in about 1-2 months. 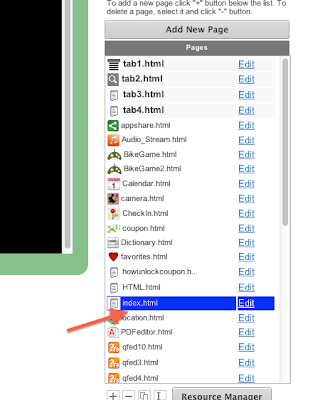 Till then you may add own tabs using HTML5 just like in the examples you have showen. 2) And option for the WebApps to work in offline mode. 3) QR Codes for WebApps. Once an App is created, an automatic QR Code will be also created with a URL link. You will be able to preview the Web App in the browser on a Mobile device. We plan to release the new features next features next month. So stay tuned. Has this update for the Web Apps that you mentioned actually gone live yet? We are close to finish the new implementations. I will let you know once we are done. How is the progress going on new implementations to webapps? It's been a month with no new word, and I am anxiously waiting for them. The new Webapp functionalities are in testing mode for the last few weeks. The release date delay is caused by the iOS 7 release which we had adapted in our system and which was a higher priority. At the moment we are in the final stage. The new updates will include adding offline mode, QR code links and option for installing the WebApp on the device (adding the icon on the home screen). These functionalities are already implemented but not yet released. I will let you know once we do that. As always, thanks for your quick response Victor. The additions you mentioned are great news, and I anxiously await the updates. Thank you for your feedback Leon. Any word yet on the revisions and updates for the WebApp ? This is still quite a weak point for using the SC services...Web Apps need to be (and definitely CAN be) just as powerful and useful as native apps. It's been almost 2 months since your last update to us regarding this being released 'soon' . In about a week there will be an update on the SC website.